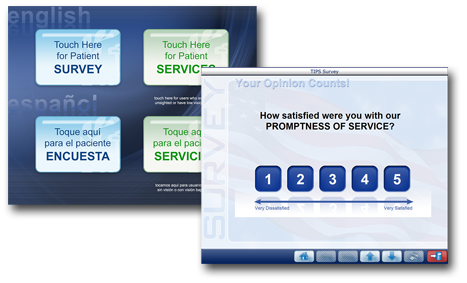 Obtain feedback from customers, patients, providers, visitors, employees and staff by deploying easy-to-use touch-screen interactive survey systems placed at the point of service. These systems help to eliminate paper-based surveys and the requirement for customers, patients, employees and visitors to find a computer and login to the internet to complete surveys or provide customer feedback. DynaTouch offers a range of survey and customer feedback solutions. Each is an integrated solution with a customized interface that includes professionally branded mainmenu(s), templates and style sheets, attract loop graphic displays, plus access to one of the survey solutions below. 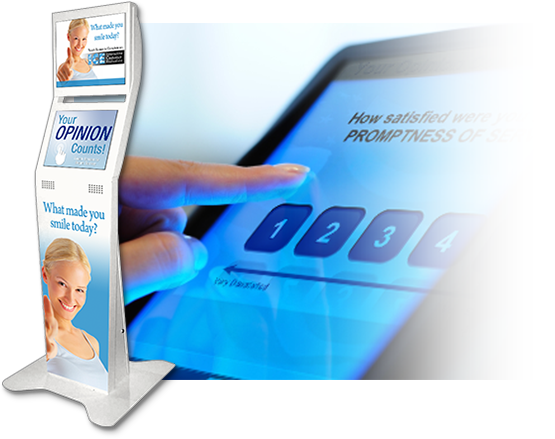 Each can be deployed as a ‘stand alone’ survey or customer feedback kiosk, or can be integrated with other kiosk or interactive solutions. 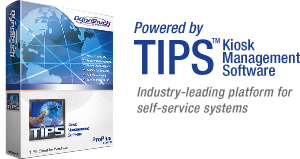 TIPS software has already been approved to operate on some of the most secure healthcare and government networks that exist, including the Military Health System and Defense Health Agency, VA, SSA, FBI and others. TIPS kiosks also come with a subscription to TIPS Cloud™, our password-protected cloud-based Customer Service Center, where authorized administrators can submit problem notices, view system status, view and print system usage data, receive automatic email reports, upload new screen savers, manage authorized URLs, and submit content change requests. An interactive, touch-response software solution that administers one or more customer feedback surveys. It allows customized survey questions to be created and managed centrally via a web-based editor. 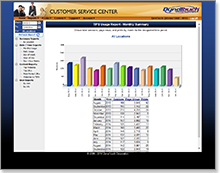 Survey questions are presented on the kiosk or display monitor with response data immediately available in easy-to-read, web-based reports for management review via TIPS Cloud™. This solution package is designed to allow military customers’ to leverage their existing ICE comment cards, providing their customers with simple one-touch access to evaluation forms specific to their location and to their specific service, while still allowing the means to rate products and services provided by DoD offices and facilities worldwide. Allows organizations to extend the reach of existing web-based survey and customer feedback tools. Using DynaTouch’s integrated kiosk solution platform, the kiosk integrates seamlessly with an organization’s existing survey and customer feedback tools without modification. Don’t need detailed analytics and reporting? Just looking for simple feedback from your audience? DynaTouch also offers simple feedback form templates to accommodate various needs, ranging from simple 5-10 input field forms to more complex forms, such as job applications. Define the input fields you need, select a template, and we will tailor it to your own branding and style. Data is sent via email to the address or addresses you specify. Depending on your needs, data validation can also be included. 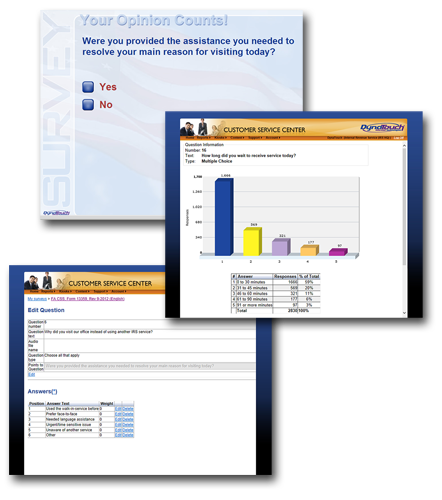 DynaTouch can develop a custom survey and customer feedback kiosk solution to meet an organization’s unique requirements. Our software development staff has years of experience developing applications targeted for delivery via a kiosk. DynaTouch can fulfill all of your Self-Service Survey requirements with our OneSource Solutions™ package, which includes all of the hardware, software, services and support needed for a fully-integrated, ready-to-run, turnkey system. Or, if you already have hardware or a preferred hardware vendor, just let us know!